He's ready for an all uphill journey. You cannot blame Josh Topolsky for trying. That’s exactly what he’s doing with the upcoming launch of his new site, The Outline. He’s trying. In an interview with Poynter, Topolsky attempted to explain what will set The Outline apart from the deluge of similar sites. While he didn’t exactly do that, he did show that he has his sights set high. 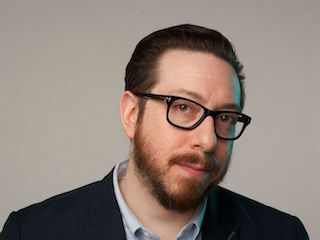 When asked how The Outline would cover the film The Avengers, Topolsky suggested writers might see if there’s a connection between the movie, its ideals and the rise of Donald Trump. Sure, that’s not an original idea, but it gives you some context for The Outline’s focus. As for inspiration, Topolsky cited two great magazines: The New Yorker and New York. As anyone in media will tell you, those are two, very big and puzzling questions.